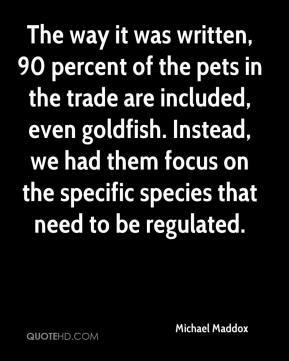 The way it was written, 90 percent of the pets in the trade are included, even goldfish. Instead, we had them focus on the specific species that need to be regulated. 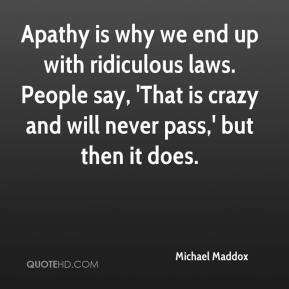 Apathy is why we end up with ridiculous laws. People say, 'That is crazy and will never pass,' but then it does.